Okay, so I pretty much blew my own mind with this one. I was brain storming the other day thinking about how my cheese always slides off of my burger. I thought about it and a spark happened in my noggin noodle. Put the cheese inside the patty. 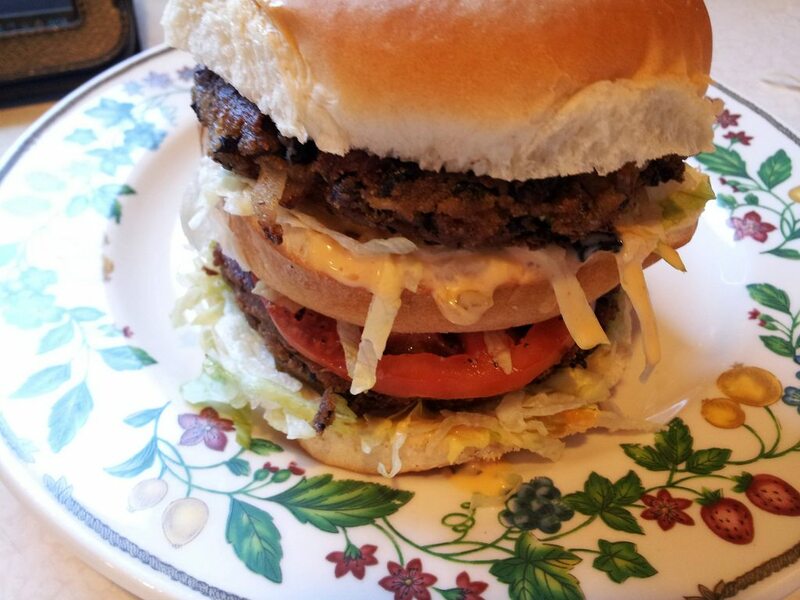 It will be delicious, surprising and it will keep my burger from sliding around. I then learned it’s already been done with beef patties.. so I wasn’t as smart as I thought I was. Still an awesome idea, though. It worked just like I had dreamed. 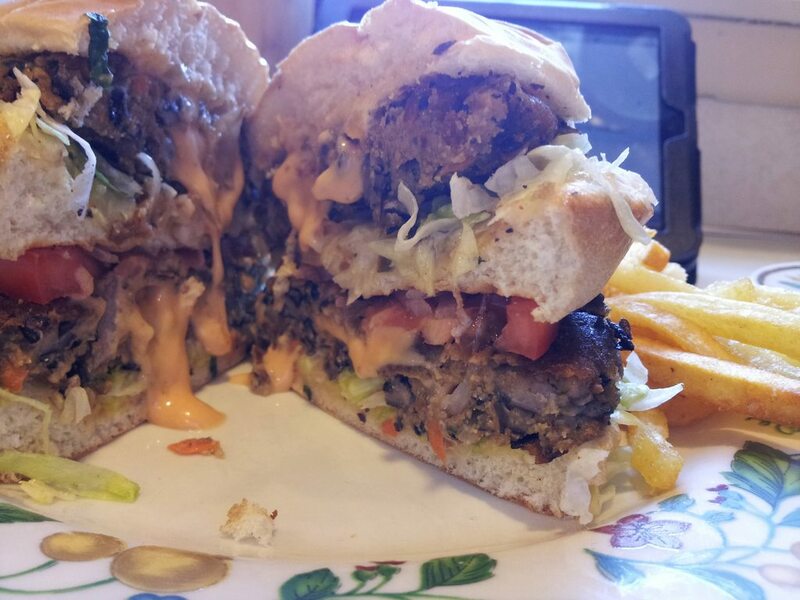 This entry was posted in Recipes and tagged big mac, big mac sauce, black bean, bread crumbs, carrot, chili powder, cilantro, cornmeal, french dressing, hamburger, minced onion, red onion, relish, sea salt, shredded lettuce, spinach, vegenaise, vinegar.